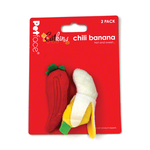 These toys come in a pack of two; one chili and one banana. They are soft and safe for your kitty cat. 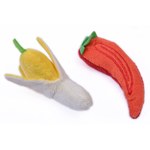 Each toy measures approximately 8cm long and 2cm wide.